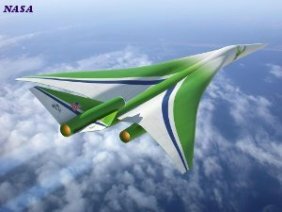 Human intelligence persevered with diligence, despite irrational and often violent opposition against any form of knowledge seeking and or Scientific Investigation. In the early to mid period of the last Millennium this noble attitude would ensure much progress was made by visually exploring, studying and mapping the Heavens. Adding further substance and light to our comprehension of the world in which we live, the coordinated efforts in the Islamic World were brought to bear on the works of luminaries in the West. 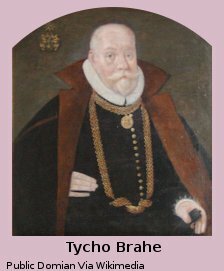 Tycho Brahe, (1546-1601) a 16th century Astronomer and Alchemist with a sound formal education, employed it in the search for truth, using his Human intelligence to execute the Scientific Method. With an island to himself, (not sure if he had a dog) where he built a castle and an observatory, he put to work his belief that to make real progress in Astronomy, accurate observations and precise calculations must be utilized. 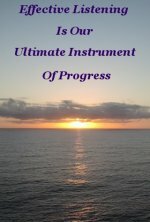 To this end he invented the tools and instruments he needed. Stopping short of the telescope. He was one of the last astronomers to use naked sight for observation. Tycho Brahe built on the heliocentric work of earlier Polish mathematician and astronomer, Nicolaus Copernicus, (1473-1543) whose clear thinking ability gave us the first modern perspective of our Solar System. Copernicus's theory that the Earth revolved around the Sun seeded the thinking that would eventually shatter an almost two thousand year old belief that the Earth was the center of the Universe. Leading up to Copernicus's brave announcement that the earth was not the center of the universe, Greek mathematician and astronomer Ptolemy's second century AD geocentric model, founded upon the teachings of Greek philosopher Aristotle, who lived around four hundred years earlier, was accepted as fact. We understand today that Ptolemy and Aristotle were not correct on this most important count, although both men made many fine contributions to Humanities knowledge base. Tycho was not spot on either, believing that the earth followed a circular orbit. It was Johannes Kepler, (1571-1630) who put the finishing touches to Copernicus's heliocentric model by figuring out that the earth revolved in an elliptical orbit. Even this was not known for certain until Isaac Newton, (1643-1727) a free thinker of the first magnitude, encouraged by one of his greatest supporters, Edmund Halley, to place all his calculations and their application to the fields of Physics and Astronomy in an ordered sequence. 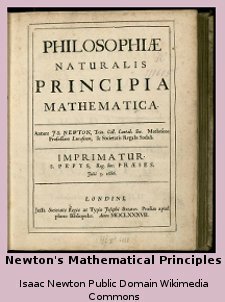 This sound encouragement by Newton's friend resulted in the unprecedented volume 'Philosophy Of Mathematical Principles'. Providing equations proving beyond doubt that Copernicus and Kepler were on the money. This gives an indication why . . .
Understanding is everything! Thinking is difficult, but with results like these, well worth the effort. Finally, the truth about how our solar system and the universe we are part of, works, was glimpsing the light of day. The ignorant authorities denied this heliocentric revelation for several hundred years. We all owe a huge debt of gratitude to the men and women, who, against the combined odds of ignorance, blind superstition, and mindless, violent, power seeking ambition, brought Humanity to the brink of enlightenment. They achieved this with the innate power of their minds. This is the same power you are seeking, for make no mistake, the negative forces just mentioned, incredulously still abound. and there is only one antidote. And that is . . .
What we are really talking about here is the intellectual battle for the dissemination of knowledge. A repression of Human intelligence. One of the most common themes throughout history is some Humans want to dominate their fellows. The most effective way to do this is to control their ability to think. Shakespeare, in his many plays, attempted to popularise the message that individuals could, and should, think for themselves. Religion placed tremendous restraints on individual thinking. It took strong minds and extraordinary bravery to seek truth, oppose, and overcome the negative forces that held power and dictated how individuals could live their lives. It is not religion per se at fault here. It is depraved individuals within the hallowed halls of religion who use it as a weapon against their fellows. We are witnessing several instances of this battle for mind control today. Religious, secular, and otherwise. Those with the desire to control you and your thinking are still, today, a deadly serious threat to Humanities freedom. Even in so called Democracies. Strengthening our minds to become impervious to this amoral attempt to debilitate our greatest asset, and turn the tables in favor of compassion and decency, should be one of our highest priorities. This sad situation of Human Affairs, where we are encouraged to see each other as enemies, presents enormous opportunity for a variety of skills, honed via Personal Development. The studying, understanding, and practicing of Personal Development is the single most effective antidote to counter anyone with the arrogant audacity to want to control you and your mind. It is available to you via your Human Intelligence.